1. Discuss the idea that home life is undervalued in our culture. 2. Share your own ideas concerning creating a home and home life. 3. What are the four levels of home live and how do they apply to the Waldorf preschool or kindergarten environment? 4. 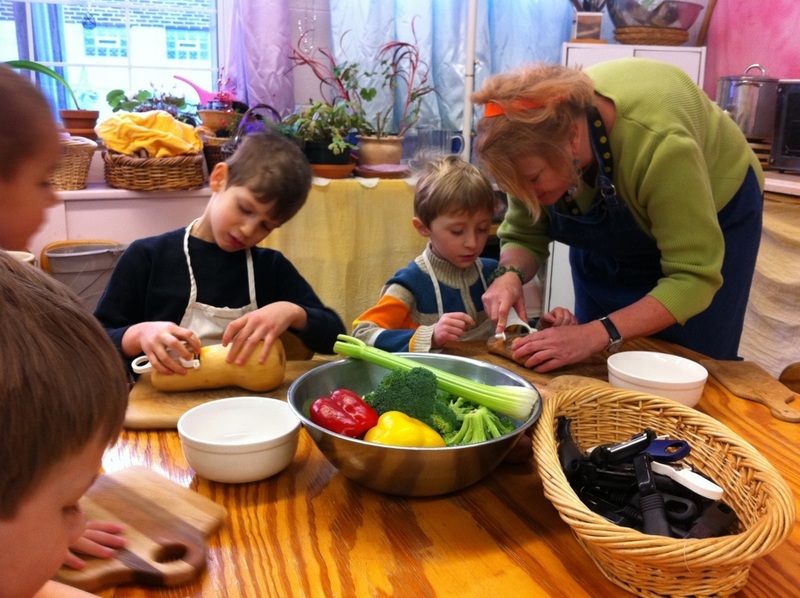 Give examples of home life activities that transfer to the Waldorf preschool and kindergarten environment. ​Why Is It So Difficult to Be Home with Children Today? Just as you are your child's first teacher, your home is where the most living and learning take place. This is true whether your child is home with you full time or enrolled full or part time in child care, preschool, or kindergarten. It is also true regardless of your standard of living. Whether you are living in a cramped apartment or a palatial home, the challenges of creating a home where you want to be with young children relate more to your inner state and intention than to your bank balance. What is home life like for you these days, and how can it become a support for you and every other member of the family? What can we do in the face of so many forces today working against home being a sanctuary where family members love to be? These are some of the questions we'll address in this chapter. For the picture of home life we're about to consider, it doesn't matter if you work outside the home or are a stay-at-home mom or dad. You could be married, in a committed relationship, or a single parent. Regardless of the number of hours you spend at home or the degree of your focus on it, you are involved in creating a home one way or another. My experience is that approaching homemaking with increased awareness can help you reclaim your time at home together so it can nourish rather than drain you. Almost no one wants to be a homemaker today, and understandably so. If you're home with children and cringe when you have to fill in your occupation on a form, try putting "domestic goddess" next time instead of "homemaker" or "housewife" and see if that doesn't feel better. In part the rejection of homemaking grew out of the realization of the dissatisfaction of many women who were wives and mothers during the 1950s and 1960s—what Betty Friedan in The Feminine Mystique called "the problem that has no name." (1) These women were expected to find all their personal fulfillment in using the many new labor-saving devices around the home, volunteering at their children's school, cooking dinner, and then fixing their hair and putting on lipstick to please their husbands when they arrived home from work. When women stopped thinking of themselves as merely "housewives" (that is, doing all that work for him), most also gave up on homemaking at the same time. As society changed and doors opened for more women to enter careers formerly reserved for men, women found themselves working outside the home while still doing almost everything within the home. It didn't take long to realize that vacuuming, doing the dishes, and cooking were not gender-dependent skills, and couples started to negotiate household chores—a task that is still ongoing, even though time spent on housework is more equitably divided today. Creating a home became something that no one really had the time or desire to do. As a result, today we are often left with homes where no one wants to spend any time. As I mentioned in the previous chapter, it was my hope that the art of mothering would eventually be embraced as a worthy choice by the feminist movement. And, in fact, Betty Friedan did address this and related issues in one of her subsequent books, The Second Stage, but they were never taken up by either the mainstream or the feminist minority. (2) The futility of my hopes finally dawned on me when I realized that Hestia, the Greek goddess of the hearth, was the only member of the ancient pantheon that didn't have a face. Of course! She was invisible . . . just like nurturing work. That's when I realized there weren't likely to be any parades honoring mothering or pats on the back for a job well done. In other words, the change I'm talking about needs to come from within and will most likely continue to be unrecognized or rewarded by society. It involves both men and women recognizing the importance and value of consciously creating a home for body, soul, and spirit—a place where every member of the family feels recognized and valued, a haven from which they can go out into the world and to which they can comfortably return. WHY IS IT SO DIFFICULT TO BE HOME WITH CHILDREN TODAY? Many parents of young children are surprised by how difficult it seems to be to stay at home with them. They often report being out the door with their toddler by 7 a.m. to visit a park or to buy a cup of coffee because the child "doesn't want to be at home." When I talk with parents around the country, many say they hate being home because their two-year-old behaves so much better when there are other adults and children around. A number of at-home parents have reported with shock and sadness that, even though their greatest desire was to be at home with their children, "it's not working' or their toddler is "bored" being home with them. What's going on? One factor is the prevalence today of the nuclear or subnuclear family. It is my belief (and personal experience) that a college-educated adult was never meant to be isolated at home every day with a one-year-old and a three-year-old. Our society doesn't provide enough meaning, value, or support for this vital work. This is why we need to find other families and reach out to the older generation to stand in for the extended family that used to make raising children much more of a shared task. This isolation was experienced by a friend of mine who wanted to practice attachment parenting, which draws much of its original inspiration from The Continuum Concept by Jean Liedloff. (3) My friend was living in a rural village in Mexico, so she carried her baby in a rebozo, or shawl, most of the time. By the time the baby was nine months, she was at her wit's end and realized that she had made a mistake only a foreigner could make: yes, the babies in the village were almost always being carried, but it wasn't always by the mother. Sometimes the grandmother had the baby, sometimes the ten-year-old, and sometimes an aunt. A second factor in the difficulty of being home with young children is our focus on the child instead of on the '"work" of homemaking, which has largely disappeared through prepackaged foods and all our laborsaving devices. Modern life simply doesn't support what young children need, which is to see us doing work that involves movement. What they actually see us doing isn't satisfying to them. As a result, they seem to demand more attention, when in fact they are asking to observe us doing "real work" that involves movement and transformation of materials— something they can both share in and then imitate in their play. So what are contemporary Western parents to do when they are at home with their child? We're handicapped by the fact that the "work" we do around the house these days more often involves pushing a button than rhythmically moving. The dishes need washing? We push the button on the dishwasher. The clothes need washing? We push the button on the washing machine. The floor is dirty? We push the button on the vacuum and jab here and there instead of rhythmically sweeping the floor. Because young children are primarily connected to the world through their senses and through movement, they find all these activities incomprehensible. Because rhythmic activity speaks so strongly to children, it is helpful to bring conscious gestures into household tasks such as folding clothes, sweeping floors, and washing the windows, car, or floor. The children will watch, join in to help, or simply take it all in as they go about their play. As busy parents, we need to realize the value of the things we do in the home and do them as conscious activities around and with the young child. This could involve something as simple as peeling an apple for your child down on her little table instead of up on the counter or sitting and knitting a simple rope that will become a well-used toy while she plays on her own. Are you beginning to get a feeling for what I'm saying? It might sound as if we're back at the same old place—housework—but there are two differences. The first is that we're doing these activities with awareness and with love. I am reminded of Mother Teresa's suggestion that we do little things with great love. So, when we put a vase with flowers on the table or sweep the kitchen floor, we can try to do it with an awareness of the quality of our movements, with an awareness of their beneficial effect on the young child, and with care. The second difference is that we might do things we wouldn't ordinarily do, such as sweeping, washing place mats outside in a tub, ironing, grinding grain with a hand mill, baking, cleaning cupboards, repairing a toy, sanding wood, and so forth. It may sound quaint, but let me assure you that it beats having a whiny two-year-old or plugging another kid-vid into the DVD player to get her out of your hair. It's kind of like the Zen saying, ''Before enlightenment, chop wood, carry water. After enlightenment, chop wood, carry water." The activities may be the same, but they have been transformed by our awareness and our care. By becoming conscious of our own activities, by regulating our daily lives in a harmonious, rhythmical way, by valuing what we do around our children, we are shaping their will forces and helping their physical bodies develop in as healthy a way as possible. 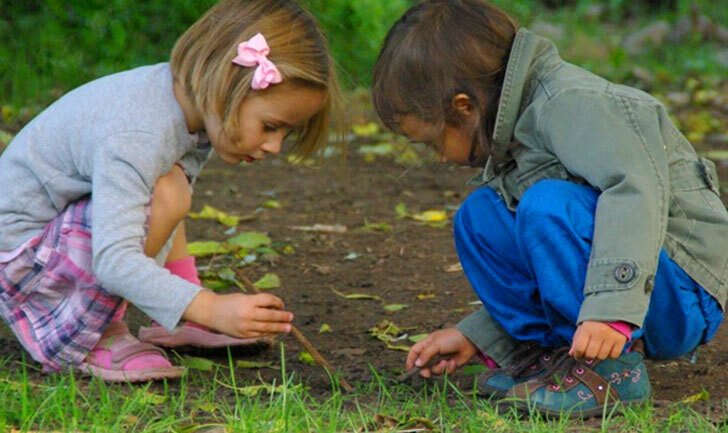 In return, our children give us the gift of slowing down, of becoming aware of our movements and our emotions, and of appreciating the uniqueness of each moment. Building on Bons's example, Ids imagine home life as a simple drawing of a house with four levels: physical, rhythmical, emotional/relational, and spiritual. Each level builds upon and is supported by the one below it. This can be a valuable exercise to do with your partner because it's bound to spark conversation. Your partner might appreciate watching this presentation with you in DVD format, listed at the end of the chapter. But, for now, it may be most useful if you get a piece of paper or a journal and jot down some notes to see what patterns emerge. This is an exercise you can do now and repeat every few years as your children grow older, or whenever you move into a new home. Let's take a look with an objective but loving eye at your physical environment. What is the approach to your home like? Do people usually enter through the front or back door? Is there a welcoming gesture, or what would the entry suggest to a visitor from another planet about your family or what is important to you? As you enter, what kind of space greets you? What might your home reflect about your psychic state? Is the environment relaxed, overly controlled, or out of control? Is your home a conStant construction zone, with no home improvement ever quite getting finished? Are you in a minimalist phase, or is there just too much stuff? What forms the center or central focus of your home? Is it the kitchen or dining room table, where everyone gathers? Or is it the family room, around the entertainment center? Or is the center missing? Where do your children spend most of their time? What is their relationship to their bedrooms? With young children, "Go play in your room" is often a useless suggestion, because they want to be where you are! If their bedrooms are really only used for sleeping, then does the environment support relaxation and rest? Can you find a path to your child's bed through the clutter? And if there is a big picture of a tyrannosaurus over your son's bed, is this really the image you want him to take into sleep every night? Do you have any space that is just for you? What a thought! If you don't have an entire room, is there even a nook or an altar—anything that encourages contemplation and remembrance? Or is there any space for artistic activity or movement? What is the relationship between the inside and outside? When you have young children, having a fenced space and a screen door so your children can go in and out by themselves can be invaluable for your sanity. Is your outside area or yard fenced and kid-friendly? Does it have a sandbox, dirt, or mud that children can dig in? Could you create a small hill or a "hidey-place" behind a bush or clear a path through a small "fairy woods"? To ponder: What have you learned about your home life from considering its physical aspect? What would an outside observer think was most important to you? What is one area where you might want to make a change? What are the steps that would be involved? If you want to simplify and declutter, don't overlook the book Simplicity Parenting as your best friend and companion. This is the level where we find the activities of home life, the level that provides a solid foundation and helps everything run more smoothly. When I first started applying awareness to the chaos of raising young children, two things were most helpful to me. One was gaining an understanding of child development so I could stop treating the children like little adults, holding unrealistic expectations, and taking every challenging behavior as a personal affront. The other was learning to apply rhythm to family life. For our family, creating rhythm brought order into the chaos. 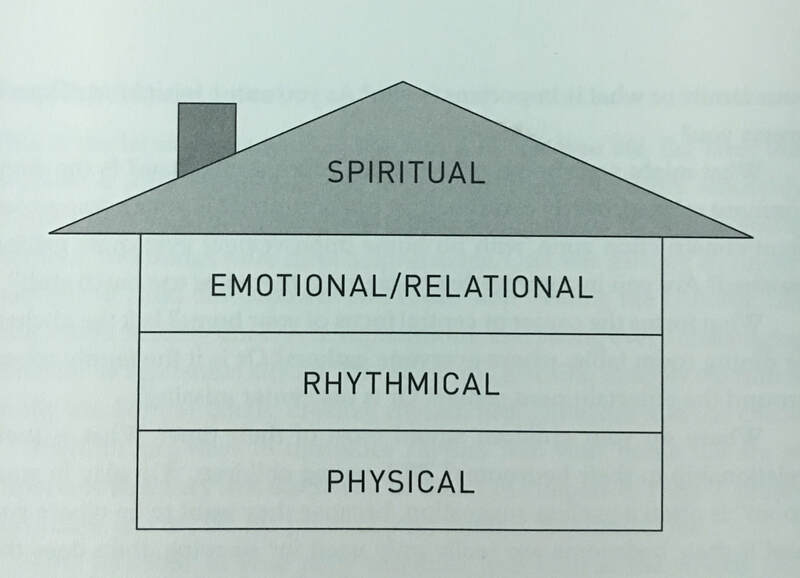 Rhythm and ways to introduce rhythm into your home life are so important that they are discussed in detail in chapter 6. Here I simply encourage you to take the pulse of your family's rhythmical life. First let's look at your daily activities, and then at the weekly and yearly ones. Let's start with meals, because they form such an important part of family life. Do they occur at a usual time at your house? What is the quality of mealtimes? Are they orderly or chaotic? Does everyone sit down together, or are meals more haphazard? Do your children help with meal preparation, setting the table, or clearing it afterward? Do you start meals with any kind of ritual or blessing? How do meals end? Do you sing a song or blow out a candle, or do the meals just degenerate? Turning our attention now to bedtimes and sleep, ask yourself what evenings are like at your house. Are there rituals and routines that smooth the transition from dinner to sleep? How do you and your children awaken in the morning? Right now, simply take some notes on what is and isn't working on a typical weekday. Now let's look at the rhythm of the week. Is there anything you do on a certain day each week? How do weekends differ from weekdays at your house? Do you have any special religious activities, or do you celebrate spirit with a hike in nature or have a day of rest? Celebrating the cycle of the year through seasonal festivals can help link you to both spirit and nature. What holiday traditions are you establishing with your children, and what do you remember most fondly from celebrations when you were a child? What is your favorite holiday? Your least favorite? How about birthdays? In summary, based on this preliminary look at the rhythmical life of your family, is there one area where you would be open to making a change? Here's a hint: it's probably an area that isn't working for you right now. Ask yourself how your children might describe family life if they were grown and looking back on it now. Would they say something like, "Nobody ever talked to one another" or "Mom was always angry' or "They were always on the computed'? To take stock of the emotional tone of your family life, ask yourself how fundamental values like respect, love, and affection are shown. How is conflict dealt with? Let's consider the relational quality of family life from the inside out, starting with yourself and expanding to your family's relationship with the outside world. Relationships begin with your comfort with yourself and your own inner work. Women can tend to be hypercritical of themselves and their mothering. If children had to have perfect parents before coming to earth, there wouldn't be a population problem! Accepting that no parents are ever perfect, it's really the quality of your striving that communicates to them. We're asked to have patience with our children and their behavior, but we also need to have it with ourselves and our own shortcomings. Taking some time each day—even five minutes—for regular prayer or meditation and a regular time for self-care are also important components of being able to nurture children every day and night. How is your relationship with your spouse or partner, if you have one? Is there any time for just the two of you? Mothers, are you able to establish and maintain friendships with other women, especially those who have children themselves, or do you unfairly expect your husband to supply all the emotional support you need? If you are a single parent, who is part of the support network for you and your child? What is your relationship like with your child or children? How would you describe your parenting on the spectrum from laissez-faire through authoritative to authoritarian? Have you and your partner discussed parenting issues and are you in agreement? Any number of circumstances can complicate family dynamics and bring special challenges, such as divorce, coparenting, being a stepparent with a blended family, having a child with special needs, or sibling rivalry. The final area we'll consider is the relationship between your family and the rest of world. Working outside the home presents the challenges of balancing home and work and managing the reentry transition each workday. Working from home has its own special challenges. How much outside work comes into your home life? Are you happy with the division, or have cell phones, texting, and email made the boundaries too blurred? Do your children know what you and your partner do? Have they ever visited your work, or could they? What is the relationship between your home and your child's school or preschool? Are the values consonant? Does your child feel as if there is a connection? If you are homeschooling, are you satisfied and supported with how home life and schooling (or "unschooling') fit together? Lastly, do you have social connections with relatives and/or other families? When was the last time you had friends to dinner? Do you feel supported by social connections, or do you wish you had more? You (and your partner) manifest your values, even if you've never thought about articulating them. Chances are, like most people, life with children has probably "just happened" and surprised you in its complexity. A place to start is by remembering what your hopes and dreams were in having a family. How was it "supposed to be"? Children are immersed in your values and unconsciously drink them in. It's what you create and what you do, not what you give lip service to or pontificate about, that communicate most strongly to them. What are your values? What guides the choices you are making about where and how you live? Or about the kind of education you choose for your children? What do your children see you doing? I know that every time I pass the Salvation Army bell ringers at Christmas, I give them a donation because I think of my mother giving me a dollar to put in their kettle when we would go Christmas shopping downtown. Children also give you the opportunity to take another look at religion and your relationship to it. Were you (or your partner) brought up in a religious tradition as a child? Are you still connected to that faith, do you practice a religion different from your parents, or have you drifted away from all religion? What do you want for your children, and why? What things are you certain about? What values are fundamental to your family life, and what values are likely to change as your child matures and is able to make his or her own decisions? Having considered your home life through these four lenses, it's hard not to want to change everything at once or to give up in despair, depending on your temperament. In either case, I encourage you to start somewhere, anywhere, with a single change. Just as a house isn't built in a day, your home life is a work in progress. It's not a question of "doing it right" or trying to change everything at once. I would encourage you to consider what is your "frontier area," the one thing from the above discussion that is calling out to you most strongly. Maybe it's getting out the door on time in the morning, or what to do about the fact that your two boys fight all the time. Hold that question like a hot coal. Let it become a burning question as you read further in this book and explore some of the other resources listed here. If you hold the question, you'll find that inspiration vvill come to you, followed by practical ideas and a plan. Discuss it with your partner (if you have one), so everyone is on the same page, and then bring the new way of doing things to the children. If you have gone through the above exercise, you will have made notes on lots of activities involved in nurturing children and creating and maintaining a home. These are what Cynthia Aldinger, the founder of LifeWays North America, calls the "Living Arts." In Home Away from Home, she distinguishes four types of Living Arts: domestic activity, nurturing care, creative discovery, and social ability. (9) Can it really be that the simple activities of daily life we've looked at above—doing dishes, making beds, feeding the cat, sorting the laundry—are exactly what your young child needs to grow and develop in a healthy way? There are several ways in which this is true. First, you're modeling "real work," in which your child can share, and which he or she can imitate in play. Second, you're sharing "quality time" without focusing on the child in a narcissistic or hovering way. Third, your child is moving, learning skills, and developing competence. For example, a task like folding the laundry teaches sorting and matching by color, care in folding corners together, and how to put things away; similarly, helping you bake a cake involves measuring, pouring, stirring, being careful, doing something for the family, and impulse control while waiting to lick the bowl. In addition to LifeWays, with its emphasis on strengthening home life and making home the model in child care settings, there are also a growing number of blogs and websites by parents who are consciously trying to create a nurturing home life for their families and themselves. Some of these parents are homeschooling their children, but others aren't, and it isn't necessary. Among the resources listed at the end of this chapter you'll find the e-zines "Rhythm of the Home" and "The Wonder of Childhood," two of my favorites. If your family life "kind of just happened" and is much less satisfying than you had hoped, it's not because you're a bad parent! It's because no one ever shared with you the practical steps that can help you create the kind of life you yearn for. 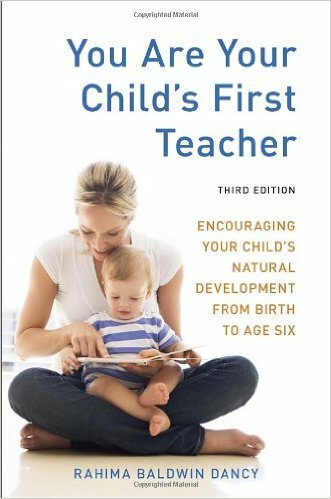 Consciously creating a nurturing family life is built, first of all, on understanding the real needs and the developmental stages of young children, which we'll return to in greater depth in the next three chapters. Then we'll spend an entire chapter looking at "Rhythm in Home Life" (chapter 6). Once you understand how to create a rhythmical environment that supports your child's sense of well-being and provides opportunities for self-directed play, you'll find that he or she is much happier and easier to live with. So I hope you'll persevere in your efforts, because the rewards are great! "Family Matters: Homemaking 101 for Busy Parents," workshop by Rahima Baldwin Dancy in DVD or CD format. Considers in greater detail the four "lenses" described in this chapter. Available at www.waldorfinthehome.org. Home Away from Home: LifeWays Care of Children and Families, by Cynthia Aldinger and Mary O'Connell (LifeWays). Although written for child care professionals, the resources about creating a home (or a homelike environment) and the ''Living Arts" create valuable awareness for parents. LifeWays North America. Offers workshops and part-time trainings throughout the United States and in Canada for parents and child care professionals, Also offers CDs and DVDs on life as the curriculum, nap time, discipline, and more. At www.lifewaysnorthamerica.org. Living Passages for the Whole Family: Celebrating Rites of Passage from Birth to Adulthood, by Shea Darian (Gilead Press). Information on creating rites of passage, from birth to adulthood. Making a Family Home, by Shannon Honeybloom (SteinerBooks). "Creating a home is a process of imbuing our space with soul and spirit, surrounding our family with love, care, comfort." Mothering without a Map, by Kathryn Black (Penguin). A must-read for navigating the emotional minefields of being a mother. Radical Homemakers, by Shannon Hayes (Left to Write Press). Stories and inspiration for reclaiming domesticity and sustainability from a consumer culture. "Rhythm of the Home." An e-zine featuring many articles and resources for conscious homemaking. At www.rhythmofthehome.com. Sanctuaries of Childhood: Nurturing a Child's Spiritual Life, by Shea Darian (Gilead Press). Considers the sanctuaries of family life, including sleep, nature, music, poetry, stories, and prayer. Seven Times the Sun: Guiding Your Child Through the Rhythms of the Day, by Shea Darian (Gilead Press). Considers the daily rhythms of waking, eating, playing, working, resting, going to bed, and more—with lots of songs and practical suggestions. Simplicity Parenting, by Kim John Payne (Ballantine Books). Support for simplifying environments, rhythms, and schedules and for protecting children from the concerns of adult life. Sophia's Hearth Family Center. A family center combining Waldorf and Pikler/RIE principles for early childhood. Offers workshops and trainings in New Hampshire. At www.sophiashearth.org. The Spiritual Tasks of the Homemaker, by Manfred Schmidt-Brabant (Temple Lodge). A leading German Waldorf educator (and single father) describes homemaking in its broader context. Betty Friedan, The Feminine Mystique (New York: Norton & Co., 1997 ). Jean Liedloff, The Continuum Concept (Boston, MA: Addison-Wesley, 1993 [19751). Barbara Dewey, "Play with Your Child?" Herb 'n Home Newsletter, July 1998, p. 8. Gudrun Davy and Bons Voors, eds., Lifeways (Gloucestershire, UK: Hawthorn Press, 1983). Kim John Payne, Simplicity Parenting (New York: Ballantine Books, 2009). Kathryn Black, Mothering without a Map (New York: Penguin Books, 2004). Cynthia Aldinger and Mary O'Connell, Home Away from Home: LifeWays Care of Children and Families (Norman, OK: LifeWays North America, 2010).